Mahatma Gandhi was assassinated on 30th January 1948. GDT observes this day with prayers for peace and nonviolence and an end to fanaticism. We promote respect for different faiths and for all ethnic groups. 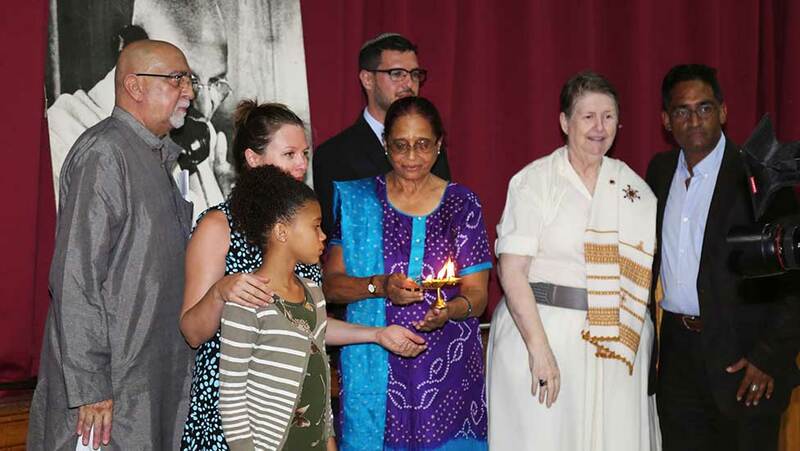 In 2017 the day was observed with the lighting of a candle and an interfaith prayer recited by representatives of the different faiths, led by Paddy Meskin, President of the World Council of Religions for Peace South Africa. Speeches on the importance of Gandhian ideas for today’s generation were presented by the Hon. Consul General of India, Dr S. Vikram, Representing the office of the Mayor Cllr F. Peer, Representing the Premier Mr R. Pillay and Representing the Kendra Judge C. Patel. All the speakers emphasised the need for appreciation of diversity and building respect for each other. Our Mission is The promotion of a culture of peace, justice, non-violence and ubuntu. Out objectives are to engage in education and training programmes.